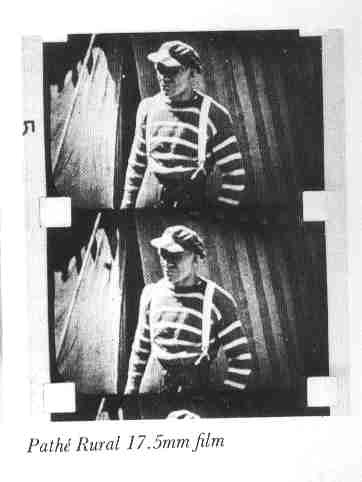 There were various attemps at a 17.5mm film gauge, but one was introduced by Pathé-Baby in France in the late 1920's with a projector and library of silent films. 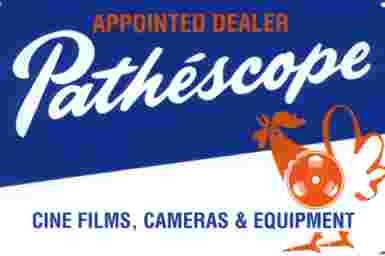 A Pathé 17.5mm cine camera was also advertised. Pathéscope in the UK presumably imported some of these items but only appear to have advertised the 17.5mm silent system once in their house magazine. 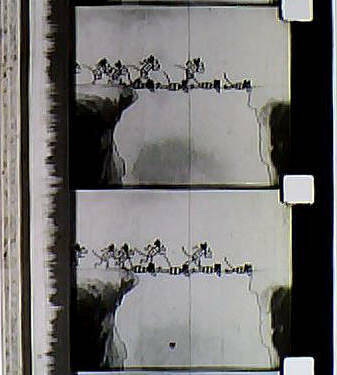 Pathé 17.5mm optical sound-on-film was launched in 1933/4 with a sound system added to the silent projector. 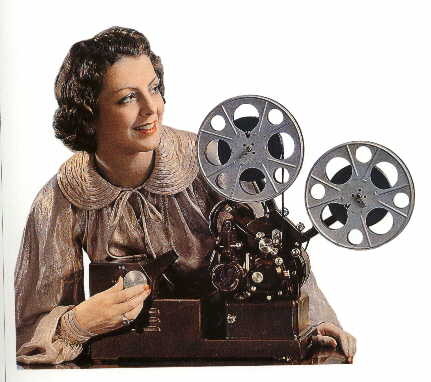 A smaller projector was provided for amateur use. By 1938 a larger machine appeared. 27Dec2014 - Descriptive Film Catalogue scans being added ../ 23Mar2015 Another film library catalogue scan added..
24Mar2015 - Pathéscope 17.5mm Sales Leaflet scan added / 03Oct2016 - tidying!